What You Get: Everything you need to run a boarding facility, on 30 acres. The House: The 3 bedroom, 3 bathroom home has an open concept feel, with a large country, eat-in kitchen, a more formal living room and causal family room. 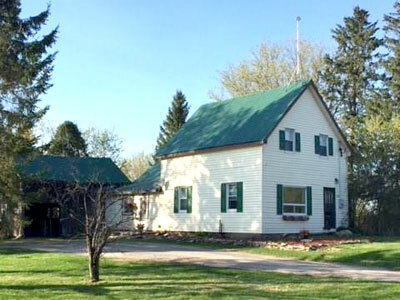 The Barn: There are 2 barns – with 13 and 7 stalls. The larger barn has a spacious heated tack room and an attached 80 x 167 indoor arena with a heated viewing lounge, including a kitchenette, laundry facilities and a bathroom. There is also an apartment upstairs. The smaller barn has a tack room as well. Outside, there is also a 20 x 60 sand ring with well drained footing, and 7 paddocks.